Every maker has a story. 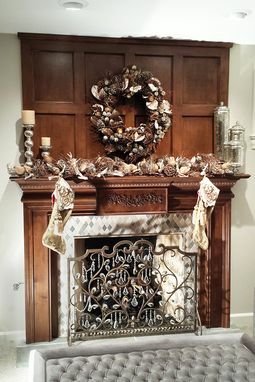 Be a part of Accolade Fireplace Mantels's story by placing an order, leaving a review, and seeing your review appear here. A truly matchless Fireplace Mantel, the Montreal has a gentle and flowing composition. 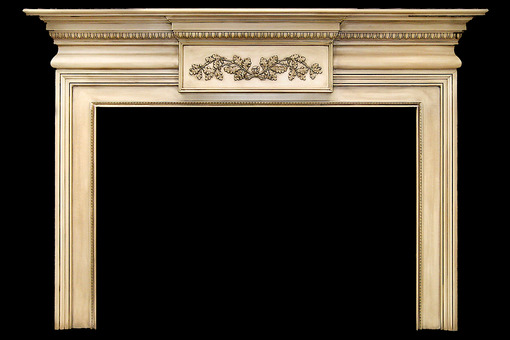 The legs and bottom of the header tie in to each other in a clean and seamless fashion, cropped by an elegant wood moulding. 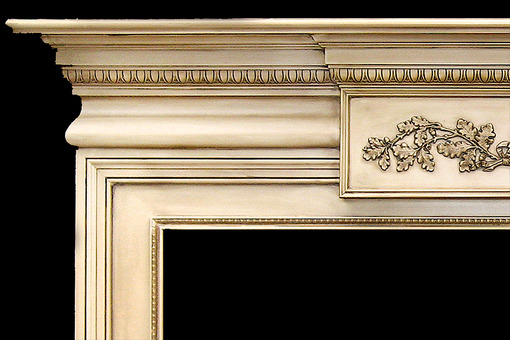 An egg-and-dart moulding outlines the interior of each leg as well as the bottommost edge of the header. 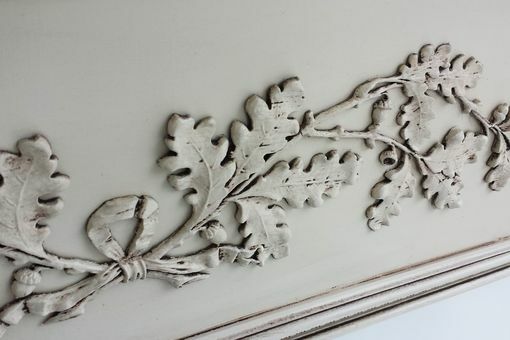 Another egg-and-dart moulding is incorporated into the crown moulding, while a dramatically contoured trim piece has a vaulting effect and is divided by a pronounced centerpiece adorned by a leafed Oak branch appliqué. 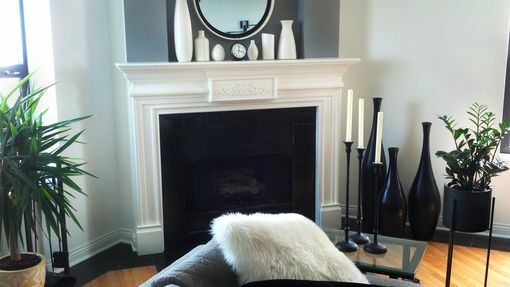 One can easily envision the Montreal Fireplace Mantel nestled warmly inside a luxurious Parisian flat overlooking a lush city garden.